It is no longer a news headline: the dietary rules in Islam has become a ‘renowned ambassador’ for people to get to know Islam. On that account, the halal (permissible) and haram (unlawful) of food and drinks in Islam have intermittently cause disputes between the Muslim community and its non-Muslim counterpart. The severity of the conflicts vary from harsh snubbing and bitter anger to expressing out callous accusations towards the non-Muslims; they are denounced as deliberately including unlawful materials in the food products sold. As the sentiment kicks in, an absurd conclusion kicks in — ‘They are purposefully forcing Muslims to eat pork so that we are sinful’. Puerile as it seems, this incident did actually happen and it regrettably did the Muslims no favour except to bring the non-Muslims further from Islam. 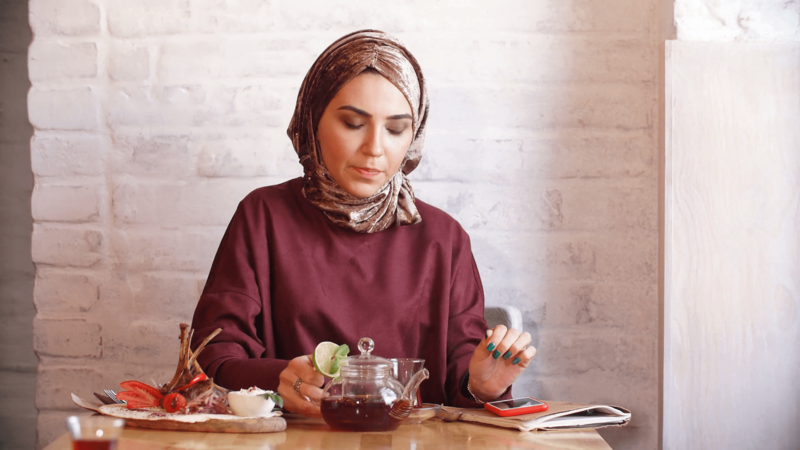 Even if we put aside the confrontation aspect, the very existence of the dietary rules itself sometimes is claimed to be one of the reasons why the non-Muslims are hesitant to embrace Islam. For them, being a Muslim is equal to imprisonment with restrictions on every aspect of life, as though Islam is a religion that solely focuses on the don’ts than the dos. Is it true? Actually, it is the other way around. There are three possible factors behind the non-Muslims’ hesitation: the misleading POV, the incomprehension of the whole story, and the way they are treated. 1. What is permissible is greater than what is not. The halal (permissible) label on the products is a great help for the Muslims! If we are to list what is forbidden for the Muslims to eat, they are as follows: animals that are improperly slaughtered, animals with fangs or birds with talons despite being slaughtered, pests that are allowed to be killed such as rats and insects, blood, pork and its derivatives, and intoxicating drinks and materials. Besides those listed above, others that are included are the food sacrificed for idols, the animal that died from electrocution, strangulation or blunt force, and from the leftover of wild animals’ eating. Some are conditionally allowed, for instance, the permissibility of consuming animals that feed on filth, with conditions attached to them. There is even another rule in Islamic law stating other special circumstances that allow the unlawful to be consumed under a certain unavoidable situation. To paint a picture to better understand this “permissibility” situation, why don’t we take a piece of paper and list down all that is permissible to be eaten in Islam? The results would show that the fear of living with dietary restriction when one embraces Islam is just a misleading perception. 2. After obedience, it is about ‘benefit over harm’. Even though there are published articles that report on the positive effect of wine to the health of the consumer, the harm it brings is more significant to take into account. The consequences it brings could give impact on the larger scale too — i.e., addiction to alcoholism have been known to ruin family institution and society. This verse is just one example of divine reasoning. At the end of the day, the foundations that must be laid are the obedience to Allah’s guidelines and having faith in Him, first and foremost. This is interesting too! Read also about If My Family Serves Not Halal Meal, What Should I Do? Allah would not obligate or forbid something unless there is a specific reason behind it and that it has to do with our own well-being. Whether He explained it to us or not, we must make the effort of inferring the wisdom behind such regulations using our knowledge, limited as they may be. To summarize, the regulations exist not for the purpose of restricting. Rather it is for guiding. Indeed, there are now non-Muslims who chose to go for halal meat knowing that it is better for their health. Ignorance or incomprehension of a subject makes it easier for a person to instil fear upon another person. It is no wonder that non-Muslims are hesitant: nobody likes to get blamed for a mistake or misunderstanding that they are not aware of. This results in fear towards each other and thus, prejudice erupts. When sparks fly, the distress becomes severer. Blames are thrown around due to ignorance on both sides. What is needed is tolerance and understanding across people of other races and religion, especially in a country whose population are multiracial and observes various religion. If truth be told, having a multi-religious society is a great blessing and opportunity granted by Allah to offer the exchange of information about Islam. Education, therefore, should be a priority to give way to a harmonious understanding nationwide as well as to cure the ignorance and prevent its aftermath. Touching the topic of Islamic dietary rules, it is also considering that the non-Muslim community may not have prior knowledge that an improperly slaughtered meat is prohibited for Muslims. Apart from that, while they may know that Muslims cannot consume pork directly, they might overlook or take no notice of its gelatine derivatives mixed into the manufactured food products. There is so much to be done in terms of educating before confronting. We should enlighten the non-Muslims first and that we put our faith in Allah’s best guideline as our Creator. Share with them the wisdom behind Allah’s prohibition of unlawful food — that Allah wants no harm to befall upon us. Cheer them up by informing that Allah’s love encompasses all of its creation; the non-Muslims included. Who knows that a beautifully-crafted and well-delivered message could catch their interest to know more about Islam? Furthermore, it will not cost us a fortune to explain nicely and keep reminding them each time instead of throwing everything into a showdown. For the current time being, the increasing investment made by non-Muslims in Halal Industry worldwide is a good start, despite being profit-driven. One step in for them and there would be so much more to share with them about Islam. Thus, the final the thing left to ponder would be: will we be the ones who would bring them closer inside in finding the truth or will we be the ones who will push them away?